This season give the gifts that delight. And, what better way to thrill your friends and family than with crystal clear and healthy-looking skin? We have made our holiday shopping easy with our go-to holiday gift guide to bring a little extra joy for the holidays. Our sets are thoughtfully curated to keep the recipient amazing, specific results – and of course, an immerive and joyful exprecience. The ultimate pre-party prep, this set has some of our staples for instant glow. We love giving this radiance regimen to our best friends, new moms, and busy people who need glow-on-the-go. The exclusive beauty set features our all-time bestseller, the Softening Daily Moisturizer, a fragrance-free and non-greasy powerful cream with organic aloe-vera juice and mallow flower extract that hydrates and softens every skin type. our ultra-hydrating liquid moisturizer for a dewy glow, the Deep Hydration Beautifying Rose Mist, our miracle worker, the Revitalizing Intensive Eye Lift Serum & our newest 100% natural Purely Inviting Satin Cream Lipstick in the shade you choose. This is our go-to daytime routine, and our team will often forego makeup because our skin looks so naturally lovely. Before a party, try these tips: if you wear foundation, mix it with a drop of Softening Daily Moisturizer and if you wear under-eye concaeler, mix it with Revitalizing Intensive Eye Lift Serum. This gives a lovely, dewy look – and it prevents makeup from caking and creasing. 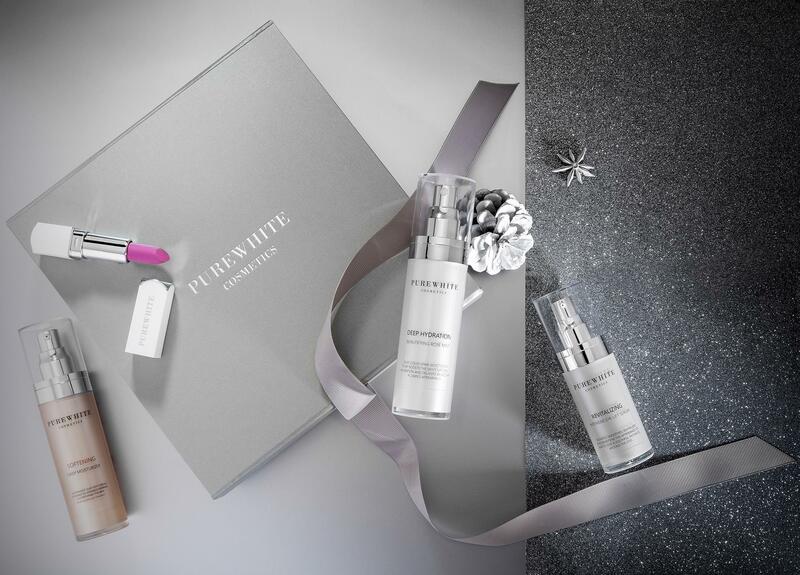 Our Youthful Radiance Set is an essential collection of three of Pure White’s best-selling products which specially formulated to help your skin begin its journey toward ageless skin. Used together, these hero products help your skin becomes significantly clearer, firmer and more radiant. First, apply our Deep Hydration Instant Plumping Cream Mask onto clean and dry skin. This rich face mask quickly melts into the skin, significantly protects against water loss and leaves the skin intensely moisturized. Its powerful actives help promote the appearance of hydrated, revitalized-looking skin and dramatically reduce the appearance of fine lines. After masking, massage in our new PlantObsessed™ Rejuvenating Antioxidant Moisturizer all over the face. This product is fantastic – the finest skin loving seed oils, like pomegranate, sea buckthorn or grape, refining botanical extracts, and plant-derived antioxidants, this formula provides hydration and protection to the skin for a visibly younger, softer, and healthier-looking complexion. And finally apply the Age-Defying Roll-on Eye Serum to the eye area. This little miracle worker provides instant relief by revitalizing, deeply moisturizing, and brightening the delicate eye area. Easy to use and quick-absorbing, it combats puffiness and dark circles, creating the appearance of youthful looking eyes. 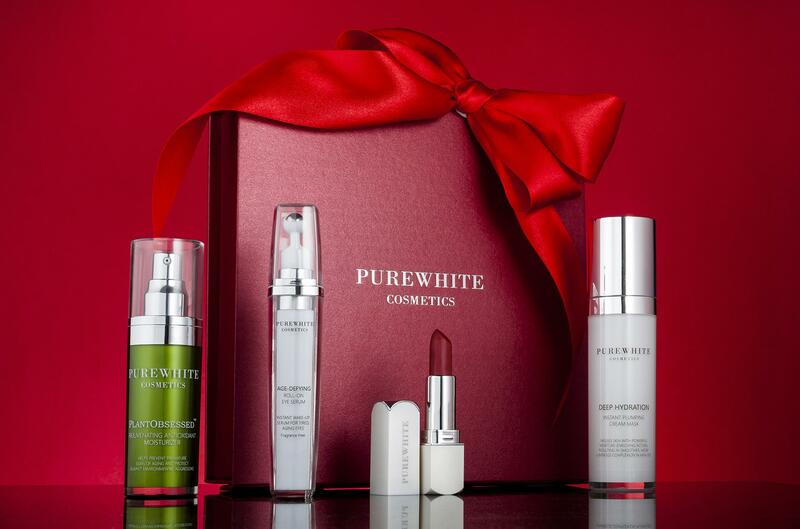 Oh, I don’t forget the newest members of our Pure White family: the Purely Inviting Satin Cream Lipsticks that every of our holiday sets include in a shade you choose. These creamy, 100% natural, 40% organic, cruelty-free, fragrance-free and preservative-free formulas are the ultimate in luxury: rich, creamy and opulent with delightful details to tempt the princess in us all. The lip-quenching, satin finish builds color and nourishes lips with every swipe. The moisturizing combination of organic mango seed, shea and kokum butters melt into the lips at it warms, creating a creamy texture and helping to revive the lips. 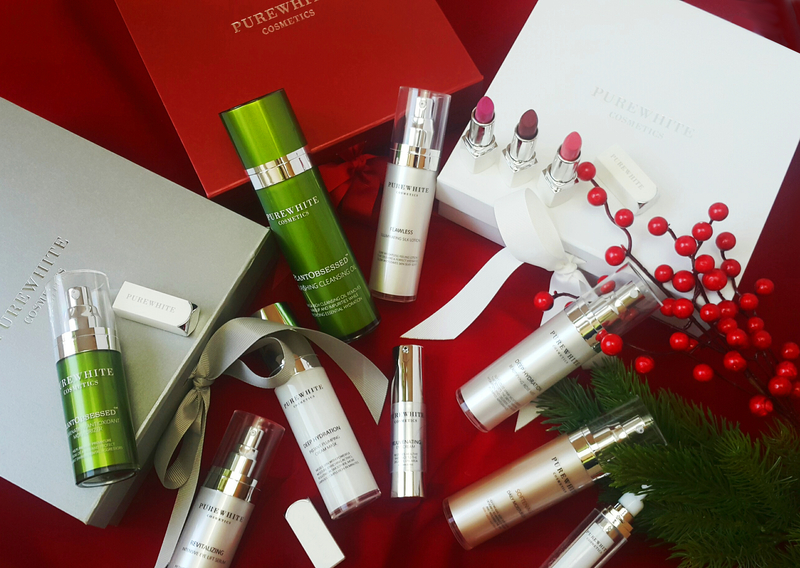 Discover what radiant, smooth skin really feels like with the exclusive 4-piece limited edition Flawless Skin Delights set featuring products that treat and moisturize the skin and re-awaken your natural beauty. The new PlantObsessed™ Nourishing Cleansing Oil removes makeup and skin impurities while provides essential hydration. Contains a beautiful blend of organic nourishing oils like sweet almond, safflower, macadamia and grape to cleanse the skin’s surface, renew the complexion and leaves it healthy-looking and refreshed. Ideal for all skin types, the non-greasy texture leaves skin feeling soft and supple and looking healthy and radiant. Our Flawless Illuminating Silk Lotion is pure dewy magic. This silky, lightweight lotion is one of our favourite products for the holiday season. Gives skin a perfect hydrated glow and provides it the essential vitamins to boost the look of dull, fatigued skin with a weightless feeling. Infused with silk protein, royal jelly, jojoba oil or camellia oil it quenches thirsty skin with a surge of hydration. The Rejuvenating Eye Cream is a fragrance-free, all-natural formula that works to reduce the appearance of fine lines and wrinkles around your eye, so your eyes look younger and less tired. Contains natural caffeine from real coffee beans which promotes splitting of fat cells and activates cell metabolism. Happy gifting! What sets are you giving – or getting! – this holiday season?